Third book’s a charm! 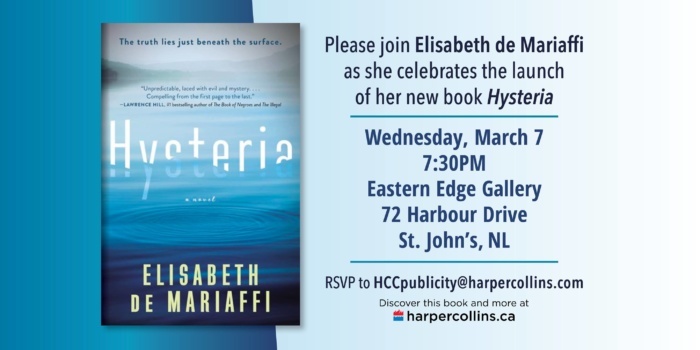 Come celebrate the release of HYSTERIA at Eastern Edge Gallery. Short reading, stylish host, cash bar. What more could you want? The local heroes from Broken Books be on hand with books for sale. See you on the 7th!